The City shall support fair and equal access to housing for all persons regardless of race, color, religion, gender, sexual orientation, age, national origin, familial status, source of income or disability. Mukilteo is primarily a residential city so not surprisingly 54% of its land is zoned single family residential and 7% is zoned multi-family residential. There are approximately 8,664 housing units in the City; 64% of which are detached single family units. Because over half of those units were built in 1990 or later most of Mukilteo’s housing stock is in good condition. Addressing housing demand must be done on a regional level because it is beyond the capacity of local governments on their own to meet the demand for housing by all populations. The regional approach is also necessary because government policies and regulations only play a secondary role in determining housing supply. The supply of housing is primarily determined by complicated interactions between government policies and regional market forces. While government policies can impact housing supply, the impact of regional market forces is much more significant. Mukilteo’s role in helping meet regional housing needs focuses on minimizing regulatory obstacles which could impede construction of new housing in general and affordable and special needs housing in particular. As such, Mukilteo has adopted regulations to allow accessory dwelling units and manufactured housing to be located in the city. 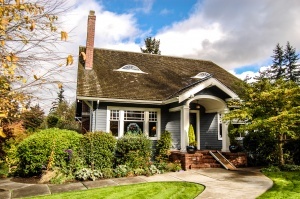 The goal behind all of the City of Mukilteo’s housing policies is to do this while still protecting the vitality and character of established residential neighborhoods. The Housing Element of the City of Mukilteo’s Comprehensive Plan includes general housing policies, a discussion and policies about affordable housing, and an inventory of the housing stock in the City. More information about Fair Housing in Snohomish County is available on the following webpages. The land values in Mukilteo make it very difficult to locate housing affordable to Low Income, Very Low Income, and Extremely Low Income households in the City. However, like housing demand in general, meeting the need for affordable housing demands a regional approach. This is why Mukilteo is a charter member of the Alliance for Housing Affordability (AHA), which was established in 2013 through an interlocal agreement with Snohomish County, 13 of the cities within the County, and the Housing Authority of Snohomish County. The Alliance is a venue for Snohomish County jurisdictions to work together to understand local housing challenges and share resources to address these challenges. A detailed picture of AHA’s member communities is provided in housing profiles. You can view the City of Mukilteo Affordable Housing Profile anytime. Updated data in the housing indicators can be viewed on the AHA website’s dashboard. AHA is guided by its joint board, which consists of representatives from every member jurisdiction, and meets quarterly. In collaboration with the municipalities within the county, Snohomish County has adopted 14 Countywide Planning Policies (CPPs) related to housing. The policies complement the Growth Management Act goal to encourage a full range of housing types to meet the needs of all segments of the population and to encourage the preservation of the existing housing stock. Every city in the county, and the County too, is obligated to plan for affordable housing consistent with the regional context determined by the CPPs. For your convenience, we have included a copy of the Snohomish County Countywide Housing CPPs. CPP HO-5 requires the County, in collaboration with its municipalities, to periodically compile a Housing Characteristics and Needs report. The County also periodically compiles a Growth Monitoring Report, which among other things, establishes population and housing targets for each municipality necessary to accommodate project growth in Snohomish County. Mukilteo’s housing target is to have 9,211 housing units by the year 2035. Attached is the 2013-2014 Growth Monitoring Report.